Shed-Building Company Must-Haves | Wright's Shed Co. When you’re looking for a shed-building company to handle your project, you want one that will do the job right. After all, building a new shed is a big expense and a long-term investment in your property. What should you look at when selecting a shed-building company? The best builders aim to deliver a basic design they can adapt based on the customers’ tastes and style preferences. Where one customer might prefer a farm-style roof, another might like a lean-to look. Some customer want a building designed to mimic their home. At Wright’s Shed Co., you have more options than you might realize up front. While we have specific shed blueprints, we can also custom design an outbuilding based on your specifications. Choose to add a porch, find your dream paint color and pick the type of door you want! Ultimately, work quality should be one of the top features to look for in a shed-building company. You want your shed to last, and so does our team here at Wright’s Shed Co. Both our steel and wood-frame sheds are built to last for 40 years. We use GAF shingles, one of the top roofing products available. And we use LP SmartPanel Siding with treated wood designed to withstand all the seasons for years to come. Once you’ve decided it’s time for a new shed, why waste any time? You’re ready to get down to business, design your ideal outbuilding and get it constructed as soon as possible. At Wright’s Shed Co., we can design, build, deliver and finish in one to four weeks. While certain times of the year are busier than others, we always make your project our priority — it’s what motivates us to work hard every day. We can’t wait to see your face when you finally see the finished product! You want a shed to work in and store equipment in. We can add ramps to give you easier access to your lawnmower, or shelves to help make the interior neat and organized. 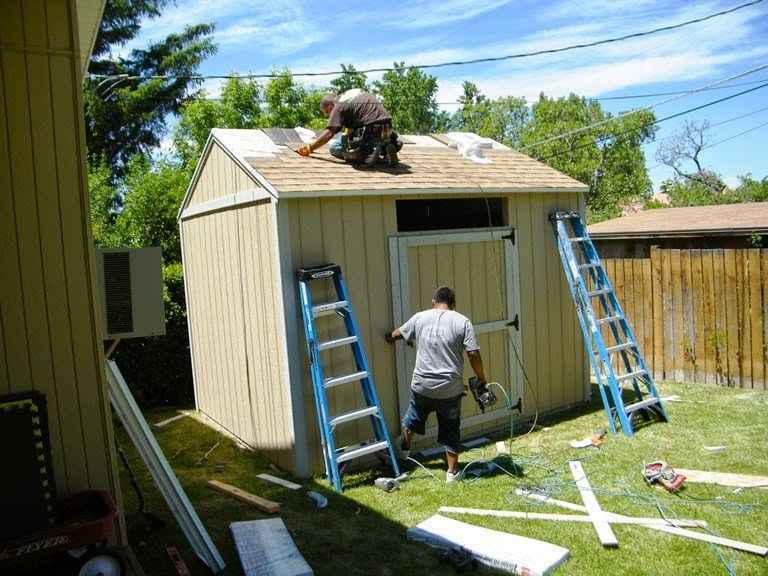 As a family-owned and operated company that’s been in business for over 20 years, we know what homeowners are looking for in both their sheds and the contracting companies they work with to build them. You can trust that Wright’s Shed Co. will provide an exceptional level of service for your next project — give us a call today to talk over the details.